The acid test came at the 2013 Adelaide Caravan Show when a former Regent owner poked around the new 6.3m (20ft 8in) Cruiser on display and then nailed the salesman to the wall. “Where are the piano hinges in the cupboards?” he demanded. 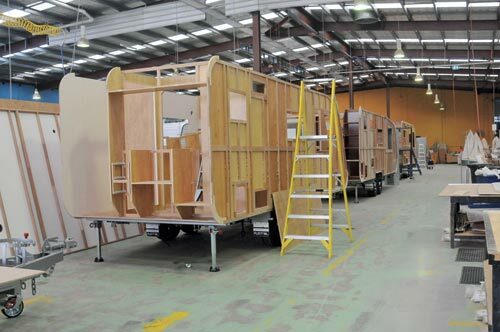 Within hours of that first ‘new’ Regent caravan, chassis 13001, arriving back at the company’s refurbished factory in Campbellfield, Vic, all the hinges had been replaced with the stronger piano hinges. And manager Graeme Groves instructed that they should be fitted to every successive Regent built. 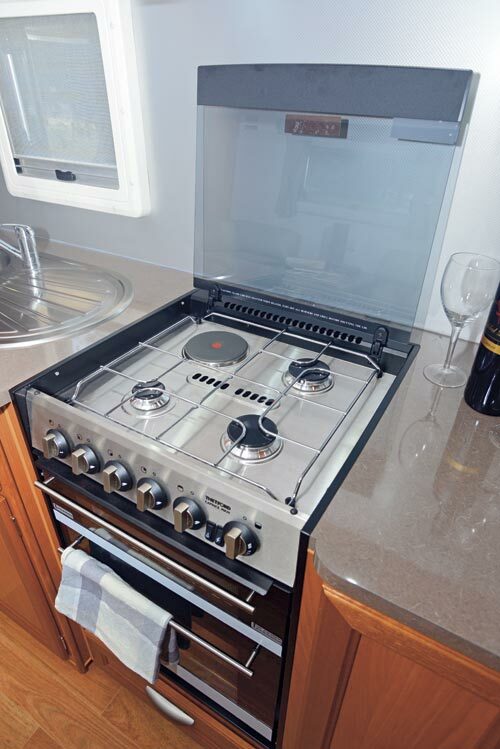 Regent Caravans’ origins go back to the mid-1980s and Groves estimates there were about 10,000 current and former owners around Australia before the company went belly-up early last year. So, in resurrecting the trusted brand, new owner Caravans Australia had to walk a fine line in sticking to traditional Regent values to attract previous owners to update, while also appealing to a broader group of buyers who are out there looking for value for money and the latest comfort and convenience features. Even the model names Cruiser and Monarch come from the old Regent back-catalogue. And after reviewing the first new Regent off the line, I think they’ve nailed it. 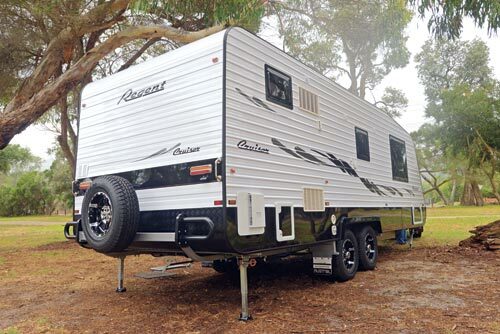 For a smidge above or below $60,000, depending on where you live in Australia, the Cruiser is a great caravan that does the Regent name proud. And it’s quite probable that Regent’s upmarket Monarch series, which is now being built in 5.9m (19ft 6in) and 6.6m (21ft 6in) lengths, will be even better for not a lot more money. The Cruiser is a traditional caravan in its construction, with meranti-framed and aluminium clad body on a sturdy and nicely-finished Austrail RV galvanised chassis. It is, effectively, an inhouse job, as Austrail is part of the same Caravans Australia family that owns Regent and Legacy Caravans and has the Australian distribution rights for UK-built Bailey caravans. Standard rail size is 100x50mm, with a 50mm rise, plus a 150mm A-frame that follows through to the spring hangers. But if you order the RT (Rough Terrain) option, you’ll get larger 150x75mm main rails. 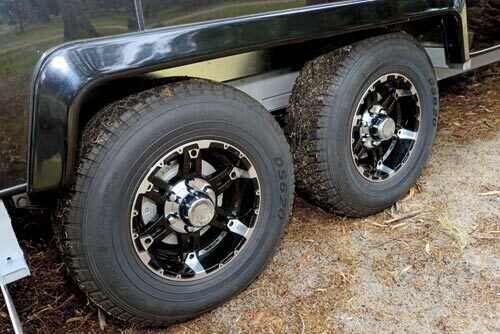 The standard tandem suspension is leaf-spring Rocker-Roller, but you can also order Cruisemaster or Simplicity independent suspension, which has the added advantage of increasing the van’s load carrying capacity. Our test Cruiser had a 2320kg Tare weight, meaning it could easily and legally be towed by any modern duel-cab diesel ute, but its ATM of 2626kg means its legal payload is only 306kg. 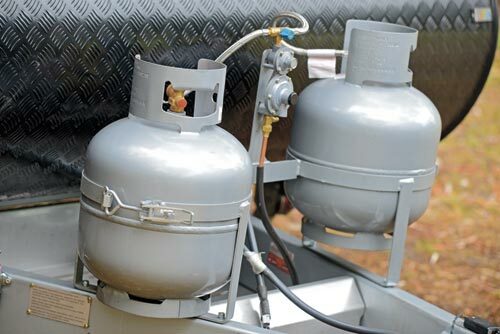 Top up the two 95L water tanks and you’ve used up nearly two thirds of that already – so pack carefully. Alternatively, if you ask for the RT pack and/or one of the independent suspension options, you can easily increase the caravan’s ATM to 2900kg and, therefore, its load carrying capacity to 600kg. A good caravan sales person will ask you what you plan to do with your van, where you plan to take it and how long you plan to be on the road. From the outside, the Regent Cruiser looks pretty conventional but nonetheless quite smart. The bright white aluminium cladding is nicely balanced by the black checkerplate, which extends halfway up the van’s front to cover the large and unencumbered boot, and the smooth black fibreglass composite on its lower flanks. The curved front window shield looks a little strange at first, but it’s shaped this way to cover the double-glazed Dometic front window. A large tunnel boot takes care of items too long to fit into the front boot and there’s a thoughtful port in the boot’s centre, accessible from under the lift-up queen-sized bed, to access all those small items that always seem to migrate to the middle. wheel complete the Cruiser’s external features. 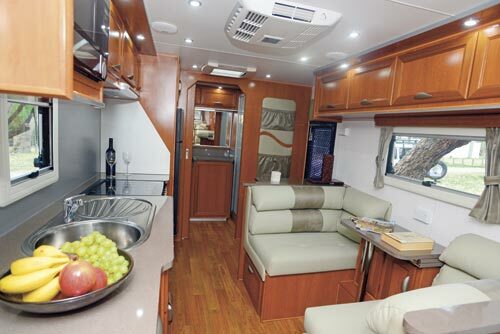 Inside, the Regent also maintains traditional values, with hand-built stick-style furniture, eschewing the more cost-efficient but less individual flat-pack CNC-cut modular furniture fitted to its sister Legacy caravans on the same production line. ‘Beautiful’ and ‘classy’ is how many people who viewed the Cruiser at this year’s Adelaide and Melbourne shows described its interior. Graeme and his team achieved this wow factor by adding some luxury touches that lift the Cruiser’s interior to a level above many vans in its price range. Things like the indented kickboards under the cupboards so you can get closer to the benches, the recessed LED pelmet lights that add a touch of class to the ceiling and the upper cupboards, the good-looking drawer and cabinet catches, and, of course, those all-important piano cupboard hinges, are all worth a mention. 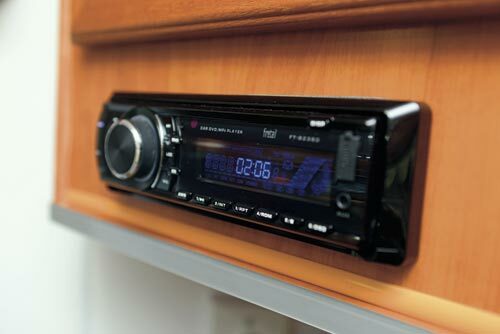 Then there are the thoughtful touches, such as curved edges on the benchtops, the partitioned storage area under the lift-up bed that not only strengthens the base but provides safe storage for the sort of stuff that otherwise might slide around, and the standard 20in flatscreen LCD TV. The Cruiser’s layout is traditional and very functional. Rear entry, full ensuite with separate toilet and shower and a standard top-loading washing machine in the cabinet separating them; kitchen along the offside, opposite the café-style dinette with its bonded leather mock-crock upholstery pattern and the queen-sized bed up front. The kitchen is very useable, with good bench space, a microwave placed at eye-level (rather than dangerously higher), a four-burner cooktop with grill and standard oven below, and a large 190L Dometic fridge-freezer located at perfect access height, halfway between floor and ceiling. The fridge doors on the test van were hinged on the left, instead of the right, but Regent assured me this was a one-off issue and future units would be hinged the other way around. My other issue with the kitchen is that the matt-finish splashback looked as though it would require more maintenance than a modern glass one. And while I would also have liked the kitchen window to be larger, the layout does not allow this. 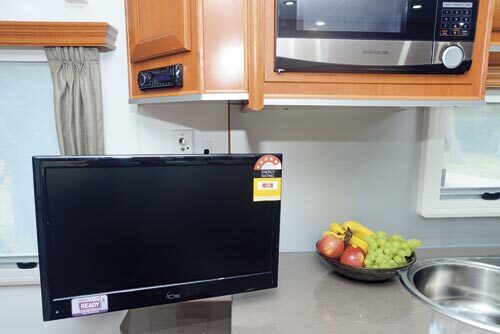 Although the Cruiser has been designed to accommodate past Regent owners, it’s right up-to-the minute in many of its features, including its clever Jack electric TV antenna, which doesn’t require raising and shows you where the strongest signal is when you rotate the simple ceiling dial. 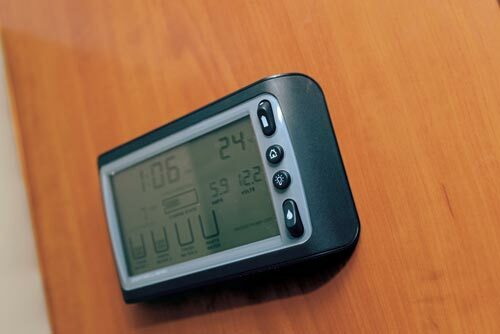 There’s also a master LED panel that shows you the time, temperature, battery charge rate, battery usage and the levels of the water tanks as part of the Regent’s unseen, all-new electrical ‘plug and play’ management system, as currently used by Regent, Jayco and On the Move Caravans. The Regent Cruiser punches above its weight in the highly competitive $60,000 caravan market. 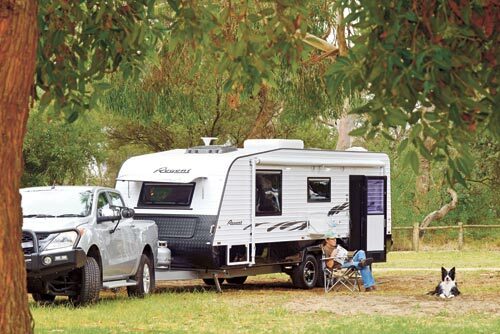 It has all the bells and whistles that today’s caravanners expect – and more – plus the traditional look and hand-built construction that fans of true blue Australian caravans appreciate. Regent Caravans went into voluntary liquidation in early April 2012 – a victim of both the GFC and old-school manufacturing, leaving around 10,000 past and current owners behind it. But the respected born-in-the-’80s nameplate returned to the market in March this year with a streamlined production line, new models and a bright future. The white knight in this story is Caravans Australia, a newly-formed Australian company headed by managing director Adrian Van Geelan. 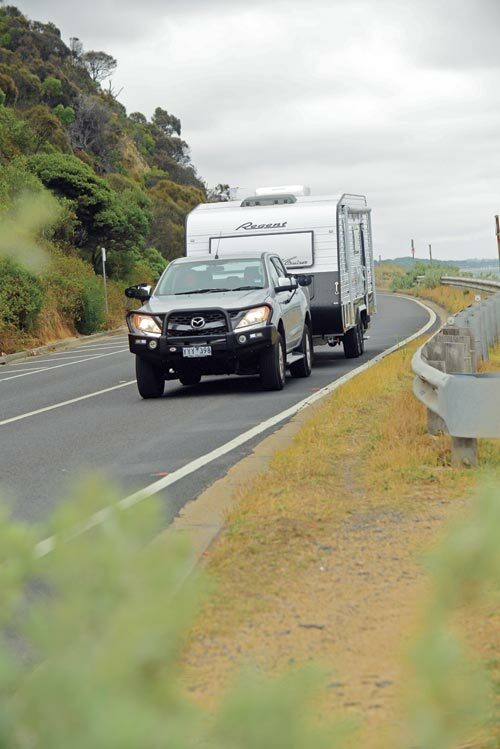 As well as owning the Austrail caravan chassis manufacturing business and Legacy caravans, it is the Australian distributor of British Bailey caravans. The first caravan to lead the Regent revival – a 20ft 8in (internal length) tandem-axle Regent Cruiser – was completed at the company’s refurbished and modernised factory in Campbellfield, Vic, only days before its first public appearance at the Adelaide Caravan Show, where it was displayed alongside an upmarket 19ft 6in Monarch. Both were joined at the Melbourne show a few weeks later by a larger 21ft 6in Monarch model, completing the reborn make’s initial three-model rollout. A smaller 17ft 6in single-axle caravan and a more futuristically styled fifth Regent model are both currently on the drawing board and may be seen later this year. 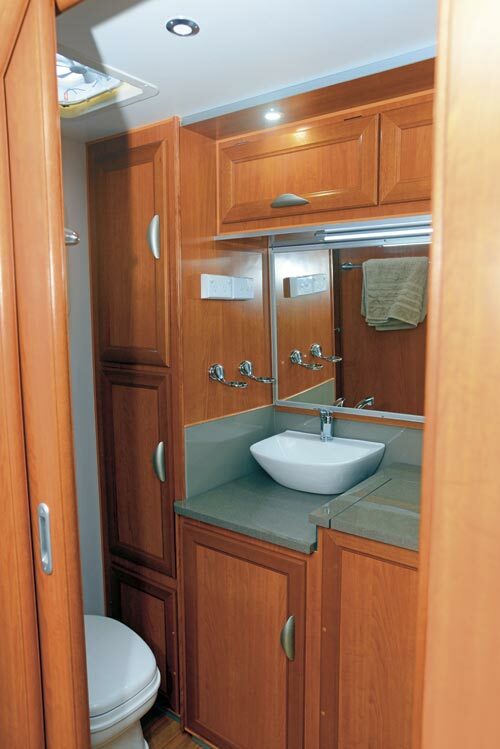 Selling predominantly in the $60,000-$65,000 range, the point of difference for the reborn brand according to Adrian is Regent’s hand-built quality and fittings, employing traditional stick rather than CNC-cut flatpack furniture, which gives customers greater opportunities to personalise their caravans. 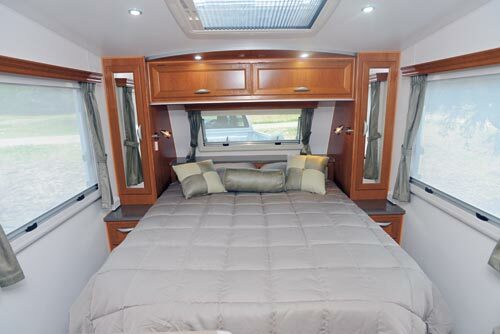 A top of the range 21ft 6in Regent Monarch with the optional RT (Rough Terrain) pack and all the most popular options might top out at $75,000. Adrian says many experienced caravanners are looking for a modern take on a traditional van and Regent is perfectly positioned to deliver exactly what they want. The Regents are built in the same Campbellfield factory as the sub-$55,000 Legacy caravans, which are aimed at more budget-conscious buyers and hence feature ‘flatpack’ furniture and fewer layout and equipment options. In contrast, Regent offers customers the choice between two principal interior décors: modern Brilliant White, or traditional timber tones. tanks are expected to make the new Regents winners with long-distance travellers. 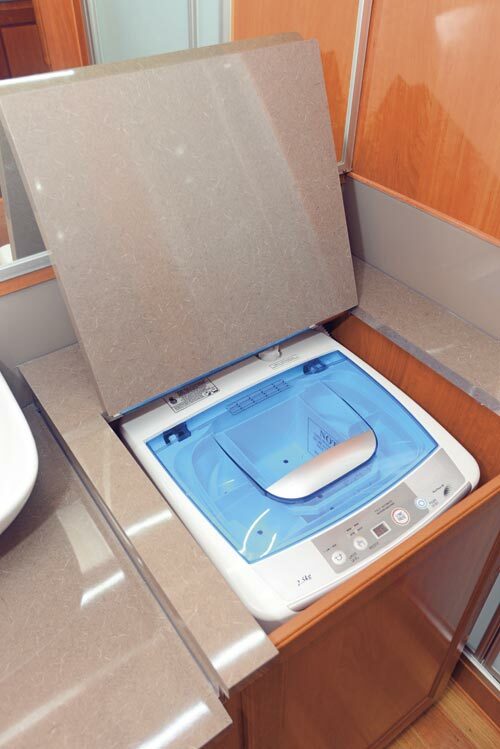 Other standard Regent features across all models include double-glazed windows with screen and block-out blinds, large Ibis roof-mounted reverse-cycle air-conditioners and top-loading washing machines. 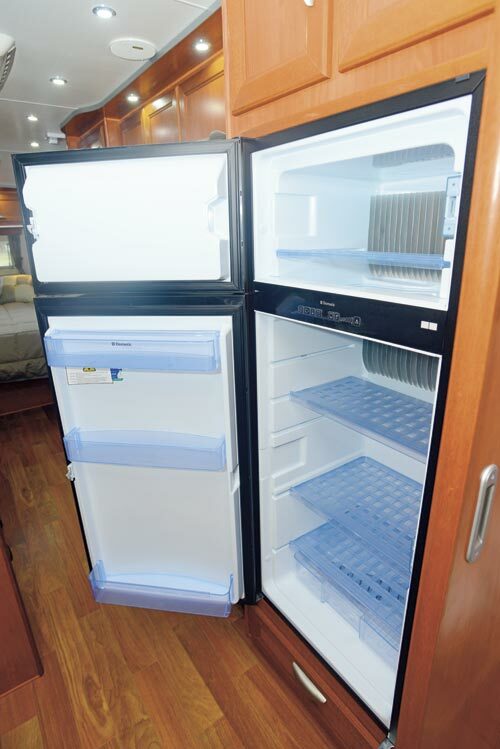 The new Regent range represents three of the 13 new caravan models being rolled out during 2013 by Caravans Australia.